I remember as a kid stringing popcorn for the Christmas tree and how much fun that was. There is something about making your own decorations that is just cozy and heart warming! Since then, I have traded in the popcorn for things like twigs and pinecones but the idea is just the same. Homemade garland seems to make tree trimming all the more personalized and special……not to mention inexpensive! 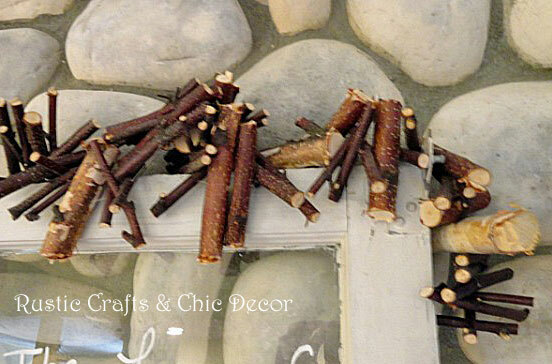 My favorite homemade garland is my birch branch garland that I have used either natural or painted white. The nice part about this garland is that I can use it on my Christmas tree during the holiday and then as natural home decor for the remainder of the year. It is great to line mantels with or to drape over pictures or windows. Here is an easy garland made from felt. You can make this one in any color to match your decor. 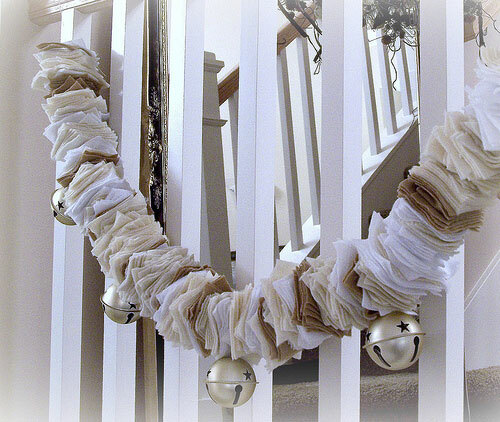 I love the neutral colors chosen for this particular garland. They are so soft and pretty. A popular item to use in homemade garland is pine cones. 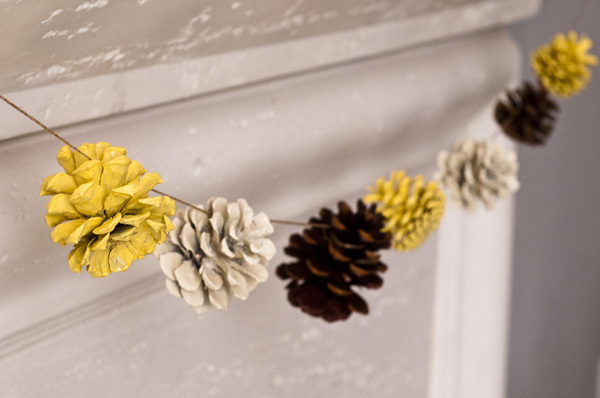 This is a cute idea with painting an assortment of the pine cones used. It gives a nice colorful display when strung on the twine in a playful pattern. 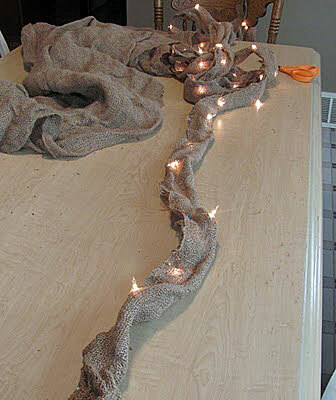 A quick and easy shabby chic idea is to string lights into burlap! If you have a lot of buttons, like I do, this is a perfect garland to make. Just string the buttons through a section of twine, tying them off as you go! I love all of the garland ideas, especially the buttons. I saw a gorgeous button garland in Ballard Designs a few years ago, but it was so expensive. I am embarrassed to say that it never dawned on me to make my own! Lovely blog!